The first impression of the account in social media is a photo. With the growth of recent updates profile photos were replaced by the cover in the popularity. The main reason is their significantly larger size (let's agree that they really look like banners!). Generally, the cover photo is the image at the top of your business account in social networks and should show the main atmosphere of the page. Feel free to use photos of staff, official logo or something which really characterizes your company. Cover photo may become a perfect representative for brand's page. However, some social has set certain rules media time to time to prevent the usage of cover photos for advertisement. As for Facebook users, it was a two-time canceled decision, that text area had to be just 20% of your cover photo (also, the text within logo is included). Now it does not work, but to escape problems with account or photo blocking you have to learn the niceties of social networks in advance. For a start, try to make your cover photo maximally attractive and memorable. It may contain simple texts, like slogans, popular hashtags or website's address. No need to write long letters, it makes boring! Keep a balance between brand's official colors and your cover photo. It is better to use fewer colors, but do not ruin an overall view. Everything has to look great! The tools which may be helpful for the creation you can choose from this informative article - "How to create attractive banners for Aparg SmartAd with online tools". Next, it is important to consider in which part is located profile photo and create your cover "in agreement with it". This small trick will surely get visual success! Also, you can integrate your cover with profile picture or other elements of the page. Do not afraid of funny covers, cause people like that. Try to change your cover photo time to time, it always attracts an attention of followers. You can display on cover some special offers, new production or an event announcing. And below you can use the same photo to explain it in details. Every single social network is different from another, so there are not common standards defined for everyone, but each network has its own parameters for cover photo's size. Despite continuous changes and updates by social networks, below is a small list of the most popular ones and their needed sizes for cover photos (considering the recent updates). It is strongly recommended to know certain width and height for covers before downloading, to consider all specific points and make it more professional. Otherwise, the photo will be automatically stretched or compressed. So, as a result, the quality of your image will decrease. 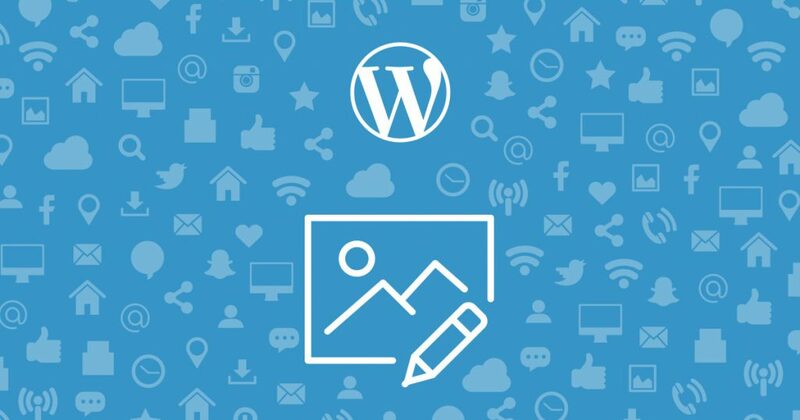 The same cover photo which you have created for pages in social media is possible to use for another action via WordPress plugins. One of them is cool Aparg SmartSocial. This freshly represented WordPress helper is designed to make the process of social network's button creation easier. By some simple steps, you get nice and functional button bar for posting news and interesting info in social networks. It possible to select between two campaign types - embed and popup. And here you may easily add your cover photo as a part of your social buttons in SmartSocial's popup type. It will definitely be a great addition to your overall WordPress blog's view, which will keep the main theme of website/brand and make the sharing more likable. Also, usage of the same photo will make a visual link between your website and shared content. As you know, people are usually lead by familiar symbols and images, so it will be the best mark for them. Take an advance do not save time on the creation of cover photos. Cause it may become a good contribution on brand's development.